This “American Idol” knock-off with a mogul twist, produced by Mark Burnett, and Sean “P.Diddy” Combs, has another twist. Our reporter that was on-set during the show’s finale episode taping stated that there were actually two outcomes filmed. Two winners were announced and filmed separately. We suspect that this was done in order to avoid any show leaks before it actually aired. The finale episode was originally filmed in December 2008. Almost one year ago! So, you can see how that might be a hard detail to keep under wraps, being filmed in front of a studio audience and all! We won’t spoil the outcome for fans. But, with the following singers left in the competition, Todd Sarvies (Rock singer), Melody Angel (punk soul rocker), and Liz Davis (country singer) “Bad Boys Records” is headed for some changes. One, bigger than that other! Hosted by Kimberly Caldwell, with celebrity judges, “P. 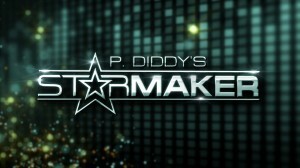 Diddy’s Starmaker” airs every Sunday night on MTV at 10pm PT.